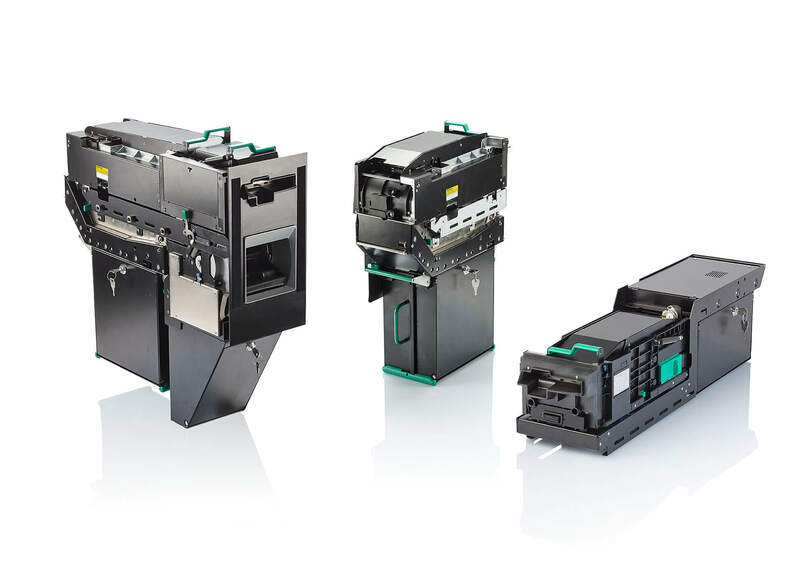 The single-sheet scan module RS 891 brings reliable and efficient document input to the self-service area. 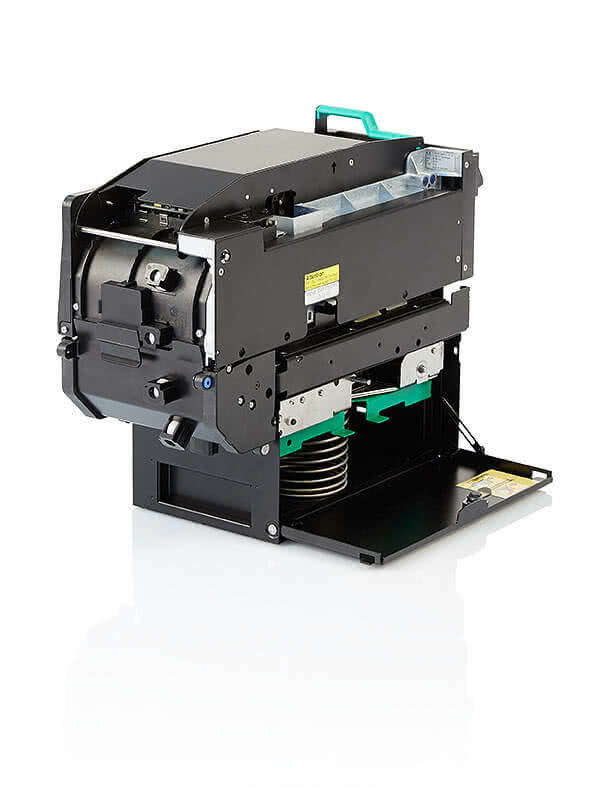 The device reacts when paper is inserted and starts processing automatically. The REINER RS 891 has cameras for both sides producing colour, greyscale and black/white images. And the front-side colour camera can be upgraded to add UV and IR image channels. For cheques with magnetic code-lines (E13B and CMC7), the MICR head reads the data and delivers this to the application alongside the image(s). A rear-side endorser is standard and a front-side roller stamp option is available. What must happen if the RS 89x module is switched on? For which application languages REINER provides examples? Currently available are program examples in Visual C++ 6.0 and Visual Basic 6.0. What is the reason if a RS 890 or RS 891 scanner module in combination with a RA 894 sometimes works ok but another time doesn't function correctly? The RS 890 or RS 891 need a power supply with 24VDC/1A. If the RS 890/ 891 scanner is upgraded with a RA 894 a 24VDC/3A power supply is mandatory. Also for the RS 893, for the RS 893/RA 894 or the RS 893/RA 894/RR 895 combination this power supply is absolutely required. Where may I buy ink cartridges for the endorser? 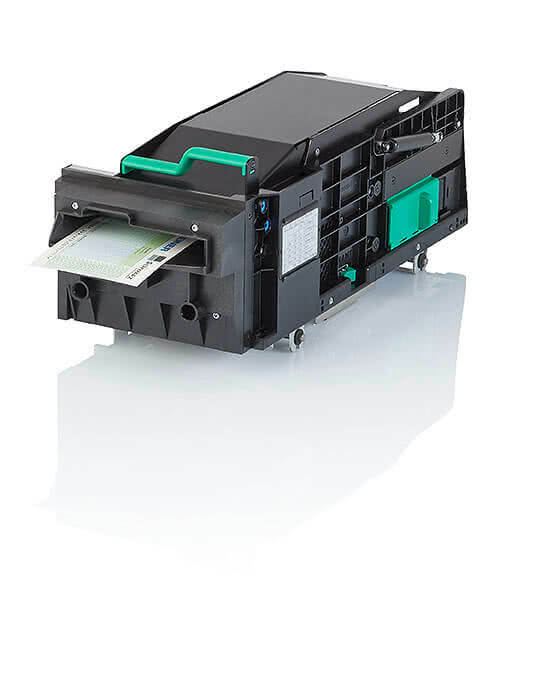 In RS 89x scanner modules the HP ink cartridge No. 51604 is used. Either your local HP dealer can provide you with the cartridge or you can order at REINER. Additionally it must be mentioned that REINER is the official OEM-supplier for this type of ink cartridge in black. Interesting could also be that REINER can provide this cartridge with red ink and even ink for food packaging. What to do if one nozzle of the endorser is not working properly? In this case one of the nozzles is destroyed and the print head must be replaced. To avoid nozzle failures, switch the scanner ON or OFF ONLY if the power plug is plugged in the wall socket. 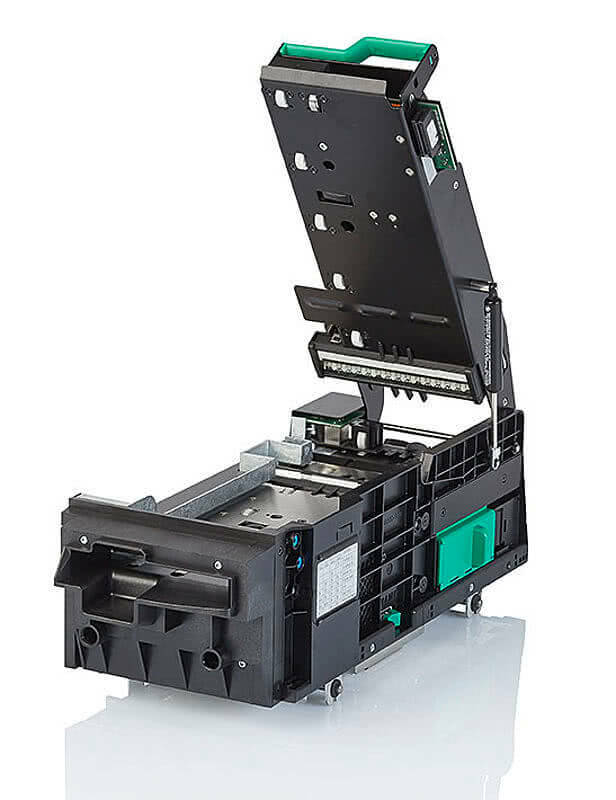 Please keep in mind, that supply voltages above 24VDC destroy the print head immediately. What could be the reason if you get error 8 although neither documents nor parts of a document are within the scanners document track? The photo-sensor L-BK2 gets some extraneous light. Please check whether the black cap above this sensor is installed. What to do if the scanner module provides strange images? • Is Win XP Professional SP2 or Windows 2000 SP4 installed? Are the following drivers installed? It is strongly recommended that the USB-drivers from Microsoft are installed in case you use an USB-controller card from any vendors. • The scanner provides images with bottom half of image in yellow colour and upper half is fine. • The scanner starts occasionally with errors like "Track is not empty" even it was verified that there is no paper in scanner at all. • Additionally this error seems to be less frequent on USB 2.0 enabled computers, and more frequently on USB 1.1. • Occasionally the problem happens also in your application even if the DEMO application provided by REINER works properly. What are the scan- and transport-speeds? Filtered colour always means that one colour has high resolution and the other colours have half the resolution. If the endorser is used the transport-speed remains the same in all the cases above. How you can guarantee that only REINER USB scanners are permitted to work on USB ports? > Click the key above with the right mouse-key and enter the menu Permissions. > Select under Permission entries the entry SYSTEM and click the button Advanced. > Check out the red circle below and press the buttom Edit. (Then it could be that it asks in a new window Security for Copy, Remove or Cancel. Press the buttom Copy in this case and select once more Edit). > Check the permissions according to the red ellipse below. Setting registry entries is only possible under administrator rights.